The first exterior gas lighting appeared in Birmingham in 1802, Pall Mall in London was the first thoroughfare to be lit. Prior to this, streets were lit with oil lamps integrated into area railings. 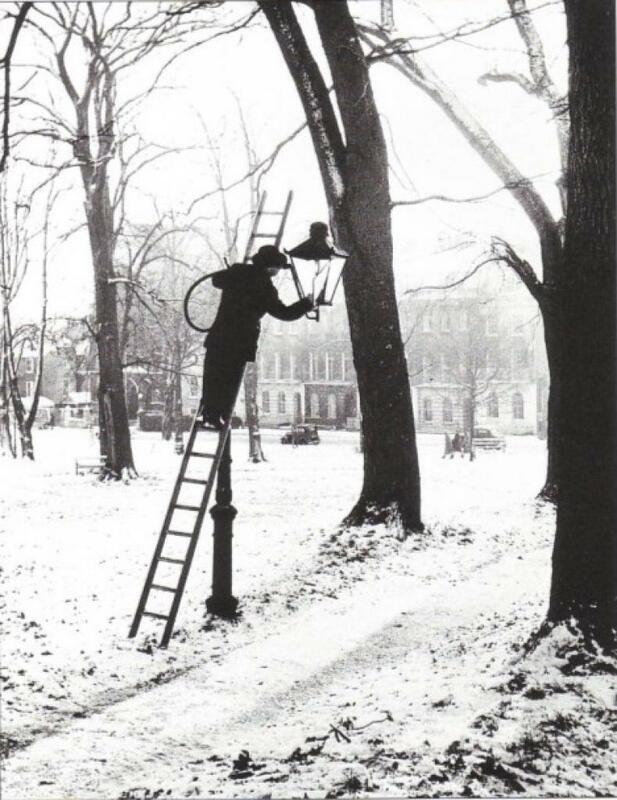 Owners of larger residences were often ordered to provide lanterns to help passers by see their way. Evidence of lamp holders are still to be seen, for example in Richmond Terrace, Cornwallis Crescent and The Mall. In 1815 a decision was made to form a company ‘for lighting the streets, shops and other buildings of Bristol with gas’. In 1824 a few gaslights and night-constables were established in Clifton as a result of the Lighting and Watching Act, but by 1851 Clifton was still imperfectly lit so a Bill was passed to allow Bristol corporation to have jurisdiction over lighting rather than Clifton. The earliest posts are in St Andrew’s Churchyard, two on Christchurch Green, one in Canygne Square. 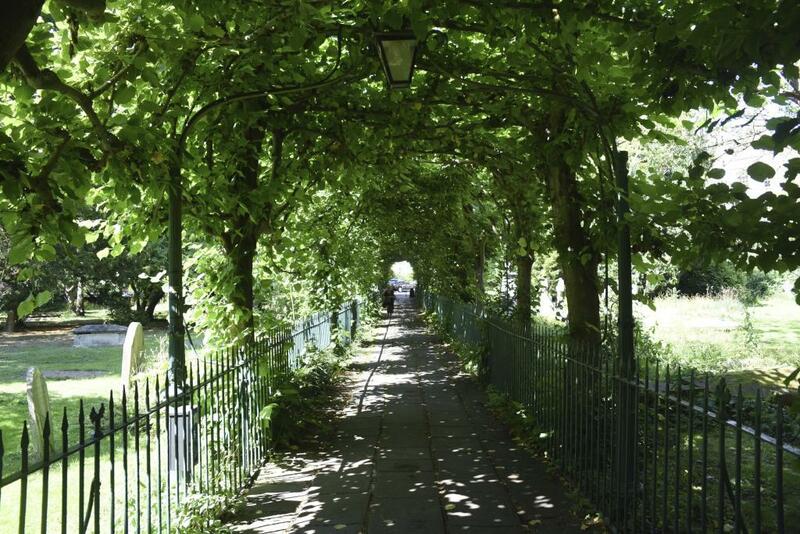 In 1898 electric ‘arc’ lamps extended to main thoroughfares in Clifton, having been used from 1893. In 1900 there were 311, by 1911 there were 695. 48 of these tall posts survive in 17 streets, including two arc lights in the Mall (one a replica after an incident with a lorry). Many of the lamp posts in Clifton are listed, particularly the tall arc posts. 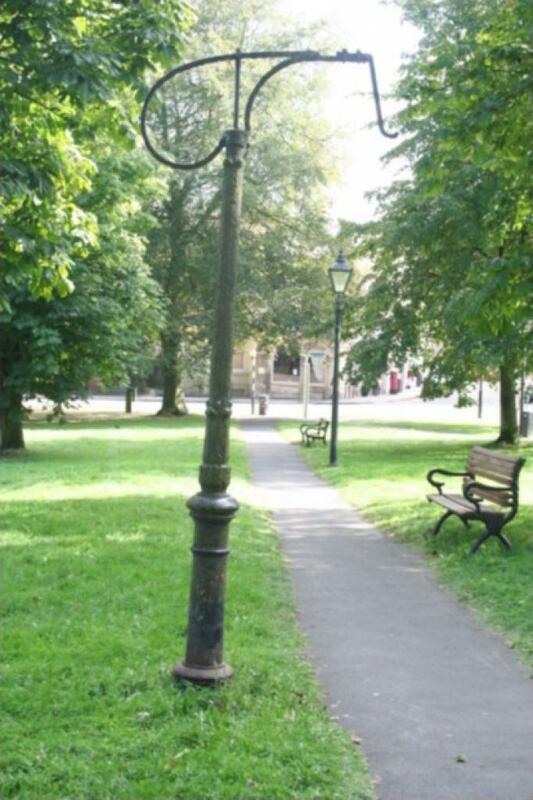 BS8 has 52 Grade II listed lamp posts out of a total of 103 listed posts in Bristol (the 2nd highest in the UK after London) making Bristol, and especially Clifton, a very important location for historic lamp posts. A full survey of BS8 posts was completed in 2009 by Maggie Shapland and published in the Bristol Industrial Archaeological Society journal. 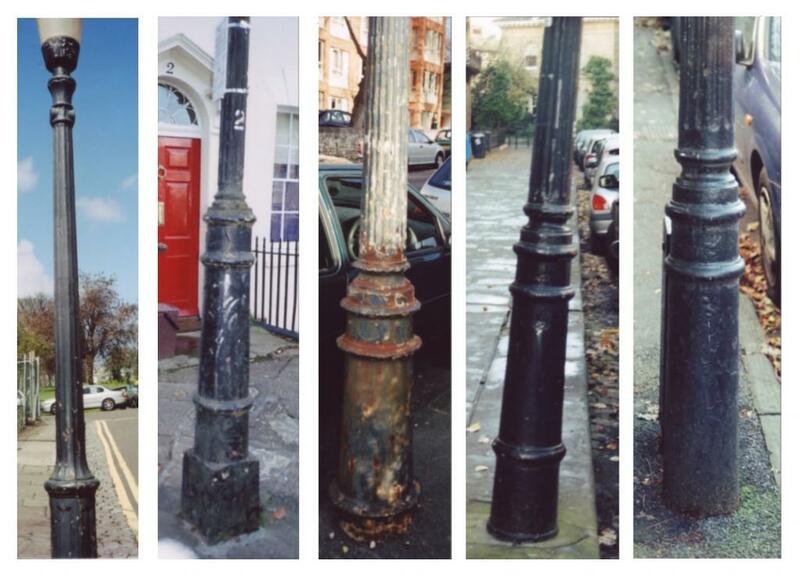 64 per cent of the streets have cast iron lamp posts. The majority were made by Bristol foundries and so can be dated. Many have traditional lanterns. Canygne Square and Cobblestone Mews still have lights lit by gas. Clifton has a fascinating collection of historic street furniture, some of which is listed. Street furniture, including letter boxes, lamp standards, and other details, enlivens the street scene but also reflects the history of the area. The retention and appropriate maintenance, or reinstatement, of traditional street furniture is vital to ensure the character or appearance of the conservation area is preserved. Clifton & Hotwells Improvement Society (CHIS) is registered with the Charity Commission: no. 259371. All content is Copyright © CHIS 2019 unless otherwise noted.